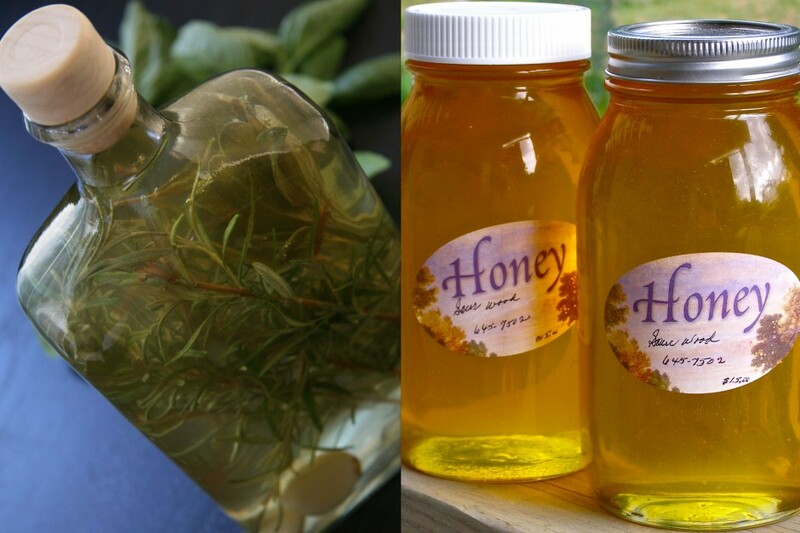 On Earth Eats I posted about gifts for your foodie friends, namely – flavored honey and vinegar. A bit ago I began blogging with Indiana Public Radio’s Earth Eats. They have a great site and wonderful podcasts, I am extremely grateful to be apart of what they are doing. 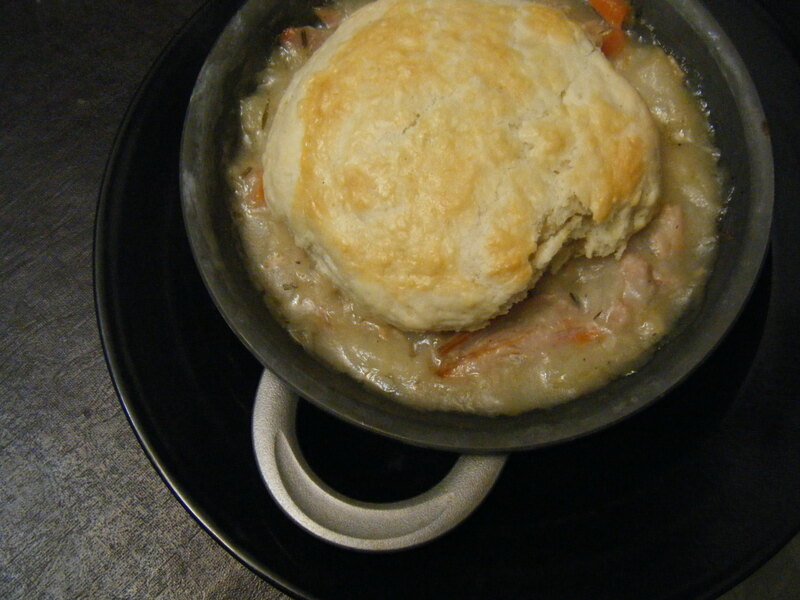 This is my intro post – and this is my first recipe post. Here’s the list for this week. Lots of great options! 2 Delicata squash AKA Peanut squash or Bohemian squash. Many folks think this is one of the tastier winter squashes, with a pulp that tastes a bit like corn and sweet potatoes. 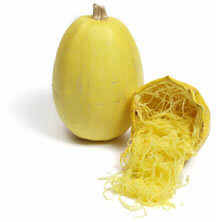 The squash can be baked or steamed The thin skin is also edible. The delicata squash is an heirloom variety that was popular in the early 1900’s. 1 bunch of Purple Top Turnips Hope you are enjoying these. I have been eating them like crazy. The other night I just sliced them very thin and sauteed them in olive oil and added a little minced garlic and salt. Yum. They have a nutty sweetness that makes them easy to eat without much fuss. Hopefully I’m not the only one crazy about turnips! 1lb ground lamb There are a couple of recipes and a link for more ideas. 1 package of Field Roast Made with lentils, seitan, lots of spices and roasted eggplant, you can use this field roast as you would meat. Toss with pasta, serve on a sandwich (that’s what we do for our autumn/fall veggie sandwich at the cafe) or over rice. It is extremely versatile. It will only last about a week so you’ll want to use it quickly or freeze it. If you have questions, let me know and I can put you in touch with our chef, Clara Moore. 1 bag of Granola Great for breakfast or a quick snack. We love to make yogurt parfaits–layer yogurt and granola and in between add thin layers of any of the following: honey, jelly, peanut butter, or fresh fruit. Easy and delicious. 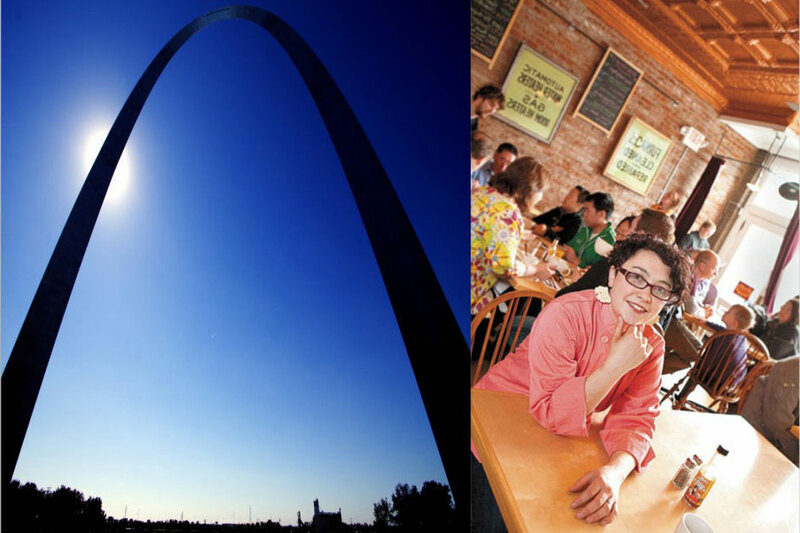 KaKao, St. Louis, MO Brian, the owner, spent 20 years in the corporate world before finding his true passion in 2008–making chocolate. He has a small store on Jefferson, near Gravois, which is really a delight! 1 Preheat oven to 400°F. Cut cauliflower into florets and put in a single layer in an oven-proof baking dish. Toss in the garlic. Sprinkle lemon juice over cauliflower and drizzle each piece with olive oil. Sprinkle with salt and pepper. If the oven hasn’t reached 400°F yet, set aside until it has. 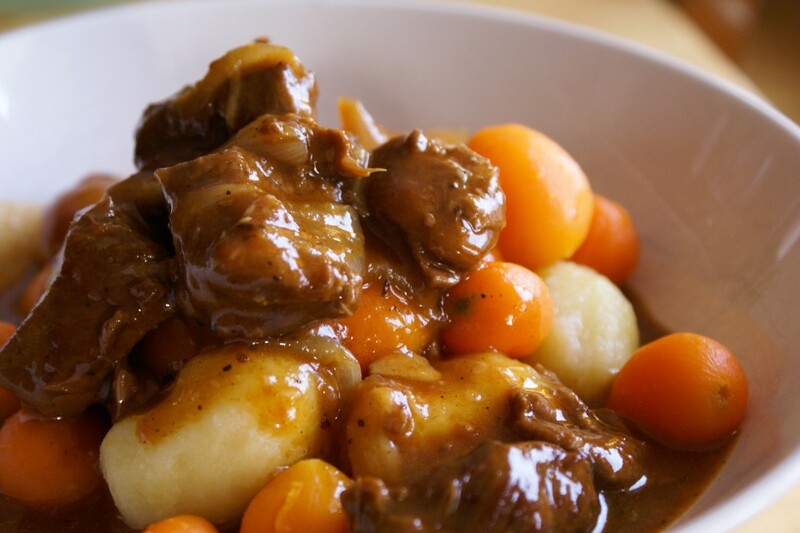 2 Place casserole in the hot oven, uncovered, for 25-30 minutes, or until the top is lightly brown. Test with a fork for desired doneness. Fork tines should be able to easily pierce the cauliflower. Remove from oven and sprinkle generously with Parmesan cheese. Serve immediately. Brown the lamb, add onion, drain, put into stockpot (or crock-pot). Add garlic, tomatoes, tomato sauce, tomato paste (adjusting sauce and paste amounts to suit your likes), black beans, mushrooms, chili powder, cumin, pepper and salt. Simmer at least four hours, then taste and add more chili powder/cumin/pepper/salt to taste (preferably simmering more if more spices were added). Place lamb in large bowl. Sprinkle garlic and salt over. Gently toss lamb to blend. Combine feta and mint in small bowl. Divide lamb into 8 equal mounds. Using damp hands, shape each into ball. Working with 1 ball at a time, poke thumb into center to make hole. Press 1 teaspoon feta-mint filling into hole. Pinch hole closed, then press ball between palms to flatten into 3/4-inch-thick disk. Repeat with remaining lamb and feta-mint filling. DO AHEAD: Can be made 1 day ahead. Transfer to baking sheet. Cover and refrigerate. Here’s the latest box of goodies for Weekly Harvest, a local food subscription from Local Harvest Grocery. Earth Dance Farms, Ferguson, MO Earth Dance Farms grows at Mueller Farms which is the oldest organic farm in Missouri. It’s close so if you ever want to visit a farm, this is a great one to go to. Divided into small sections, many farmers grow their produce here. Earth Dance also runs a farmer apprentice program. 1 head of cabbage First cabbage of the year. So much you can do with cabbage–cole slaw is an obvious one, but you can also saute or steam cabbage. As a kid I loved to eat steamed cabbage with yellow mustard on it. Weird, but delicious. 1 head cauliflower Cauliflower is great steamed, sauteed or roasted. Roasted cauliflower can take on an almost nutty flavor. 1 package of lentil spread (Ah-Zeefah) (vegetarians) Sine Berhanu is the creator of this amazing lentil dip. Flavorful and healthy, use this spread as a dip, on salads, on sandwiches or even on cooked vegetables. 1 container of tomatillo sauce (vegetarians) Put over cooked rice, stir into your eggs, or use as a sauce for cooked vegetables. Our Garden, New Florence, MO 1lb homemade butter Ellen doesn’t make this very often so we are thrilled to be able to get this to you this week. Her butter is so fresh and delicious that you’ll want this every week! 1 package Prairie Breeze cheese You’ve gotten this before and many of you wrote that you loved it. Enjoy! Great in soups, on pasta, with apples, or grated onto pasta. 1 package whole wheat radiatore Wonderful for holding sauce. Cook for 3-4 minutes in boiling water. 1/2 gallon apple cider Hot or cold, this cider is a winner. I also freeze this cider in popsicle molds and my son eats it as a snack. Below you will find several recipes for cabbage that include many of the other items in your subscription. But, I also wanted to let you know a little bit about cooking turnips. Many folks have a bias against the turnip which is sooo sad to me. If the greens are still somewhat fresh you can also eat these. Turnips are very versatile–you can chop or slice and saute, roast them with other hearty vegetables like winter squashes and potatoes, or even eat them raw on salads. I love roasted turnips. Toss chopped turnips with some olive oil and salt, add a few whole cloves of garlic and roast at 375 for 20-30 minutes. You can peel turnips or if the skin is very thin, just wash them. I also included a recipe for glazed turnips at the bottom. Remove all the tough outer leaves from the cabbage. 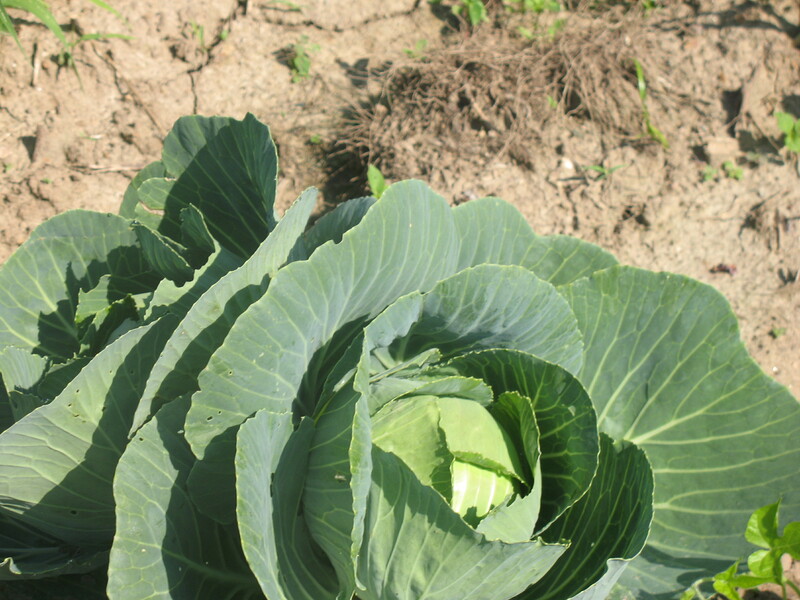 Cut the cabbage into four, remove the stalk and then cut each quarter into fine shreds, working across the grain. Put 2 or 3 tablespoons of water into a wide saucepan, together with the butter and a pinch of salt. Bring to a boil, add the cabbage and toss over a high heat, then cover the saucepan and cook for a few minutes. Toss again and add some salt, freshly ground pepper and the knob of butter. Serve immediately. Melt 1 tablespoon of butter in a skillet over medium heat. Add onions; cook and stir until tender. Place the green beans into a large pot with about 1 inch of water. Bring to a boil, and cook for 5 minutes. Add the cabbage to the pot, and top with the cooked onion. Season with sweetener and salt, then top with bratwurst. Dot with remaining butter. Cook uncovered over low heat for 30 minutes. Stir, and serve. * The reviews for this recipe all suggested adding some grated hard cheese to add more flavor. The Prairie Breeze cheese would work well as would a Parmesan!